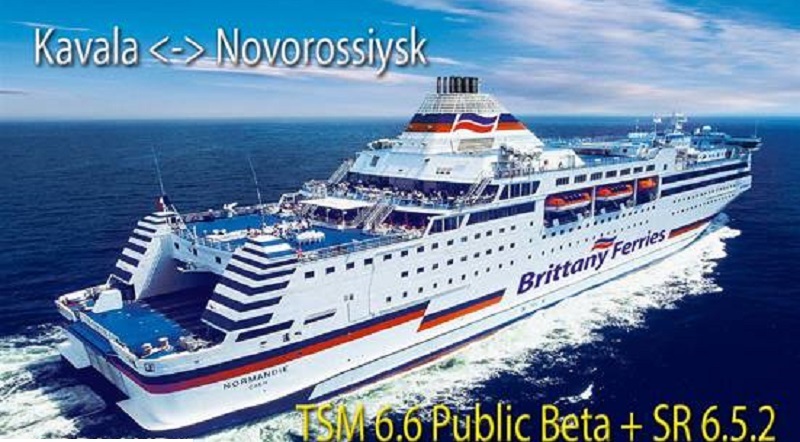 Novorossiysk and Thessaloniki (Greece) – 16 hours on the way. 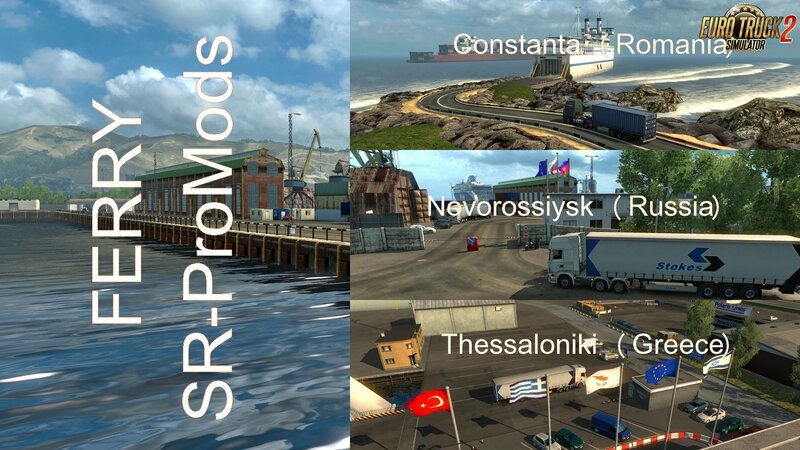 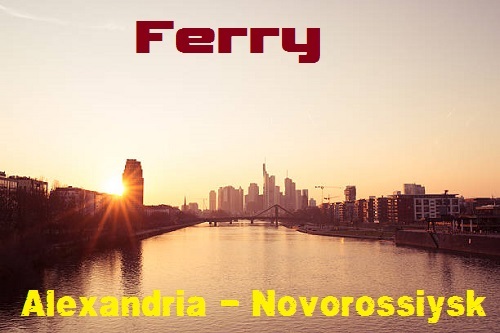 Ports Novorossiysk, Constanta and Messina works both for import and export of goods and cargo. 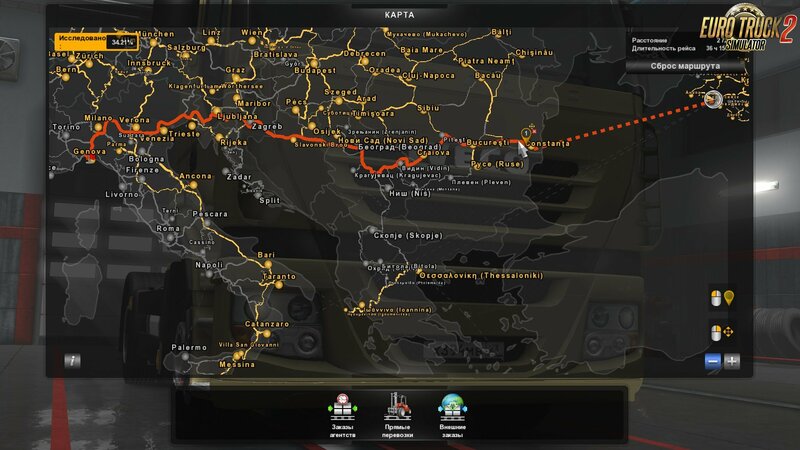 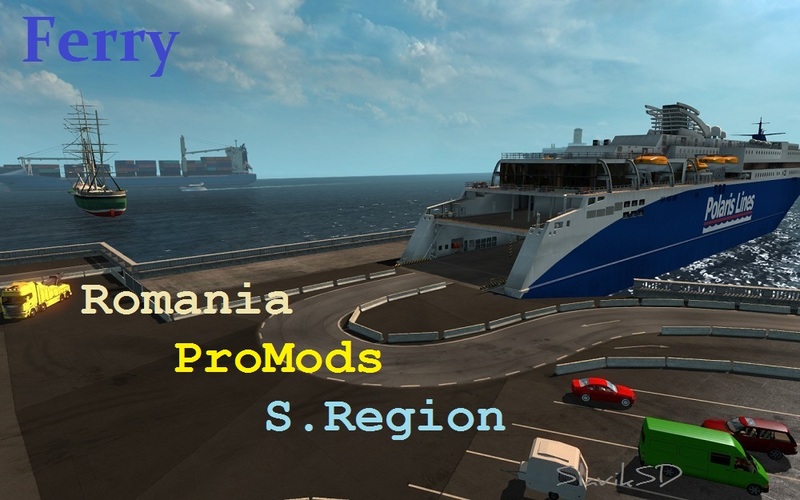 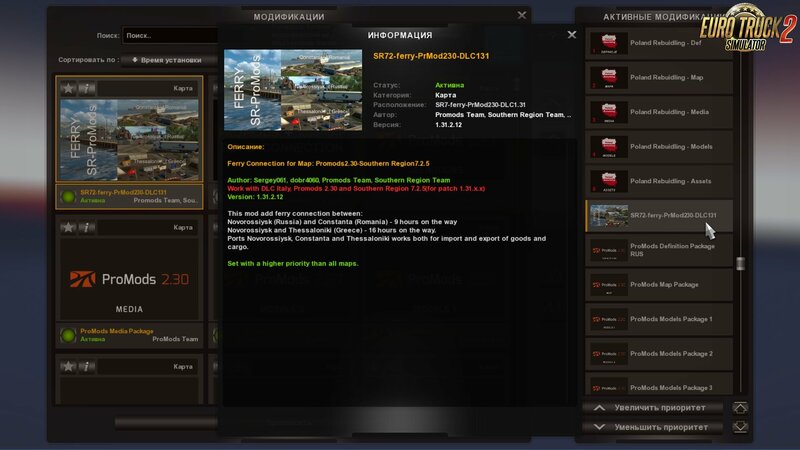 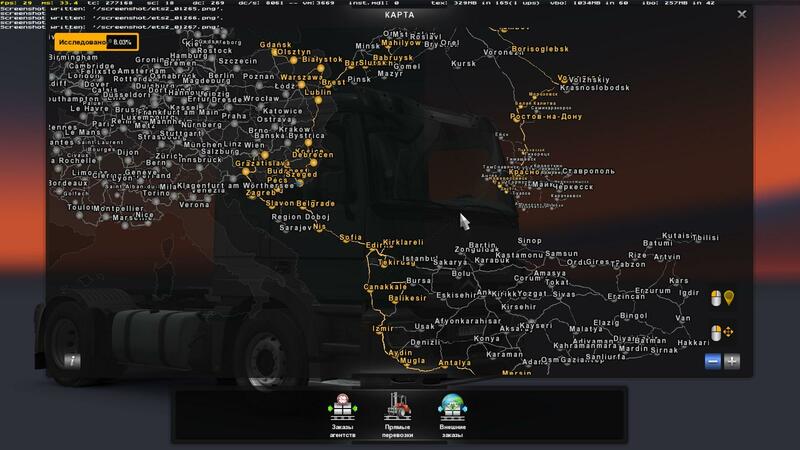 Routes, using ferries, are correctly displayed in the game, on the map and are routed to RouteAdvisor. 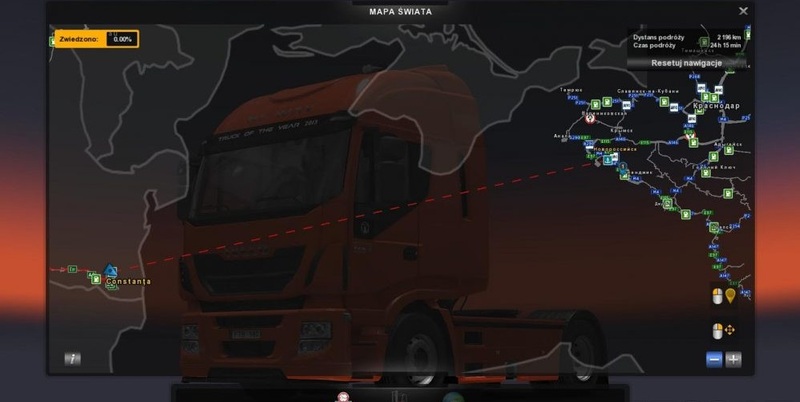 Set with a higher priority than all maps.